If you've got a date this Valentines Day, or you might be out with the girls - why not try out this look from Remington. Silk Waves looks gorgeous, and has a very Hollywood glamour look which is perfect for a night out. 1. To begin with, create a natural parting. The key to creating this look is to curl the hair away from your face. Starting at the front, take a section no bigger than an inch by an inch in thickness to curl. 2. Mirror this curl around your whole head. 3. 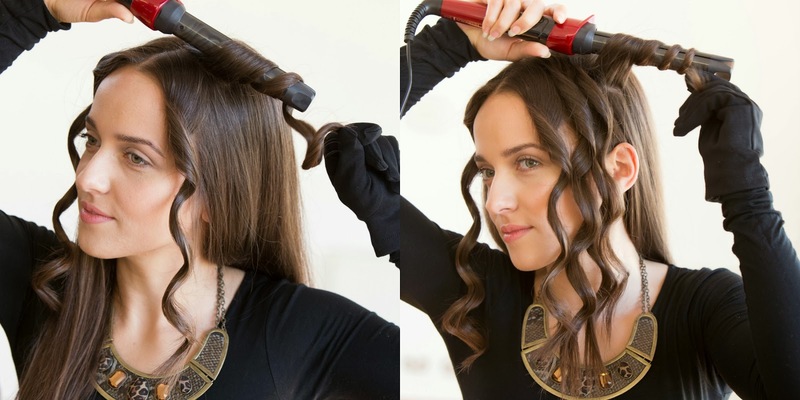 Once you have finished curling your hair, take a paddle brush and some hair spray to brush your curls out. A top tip is to actually spray the hairspray onto the brush, which will prevent your final look appearing too stiff. 4. 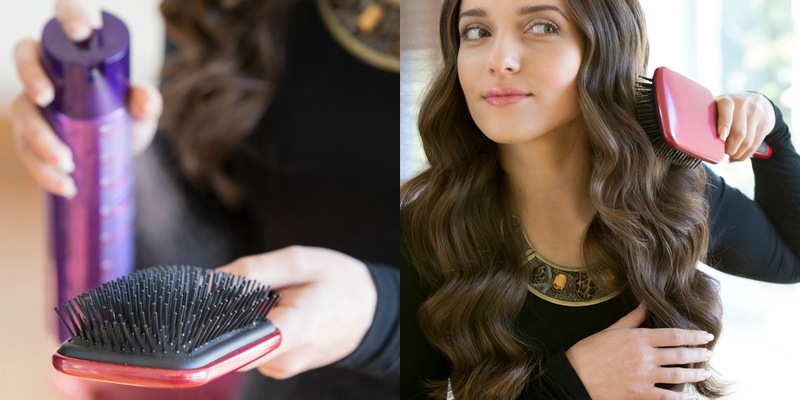 Brush your curls out with the paddle brush. 5. To finish off your silky wavy look, mist out any fly away hairs with a last bit of hairspray. Then using the flat of your hand, smooth away any strays of hair on top. The Silk range from Remington is made up of four stylers, including the highest heat straigteners on the market - heating up to 240 degrees in ten seconds! You've also got a super highdryer, curling wand and ultimate styler. They've covered everything whether you like to blowdry and go, or if you are more of a wave or curl girl. Ranging from £34.99 to £89.99, you can pick any up from Boots, or direct from Remington's website. It's a look I love, and I hope you do too, watch out for a full review of the Ultimate Styler and a little treat for one of you lovely readers. All about sharing the love!